A Houston vacation can mean everything from spectator sports and designer shoes, to contemporary art and thick, juicy steaks. Book a Houston hotel and discover the many sides of Texas’s largest city. Houston is a place where you can immerse yourself in culture and history, or take a giant leap into the future among innovative architecture, wide open spaces, and glass-covered mega-malls. If you want luxury and style you’ll have plenty of options for pampering and glamor, but similarly there are plenty of hotels happy to cater to those on a tighter budget across the cities varied and vibrant neighborhoods, so you have more cash to flash in the restaurants and boutiques. Houston’s culinary scene is as exciting, varied, and surprising as the city itself. Whatever you’re after, you’ll find it– and plenty you never dreamed of. Whether you’re after high-end haute cuisine, experimental fusion flavors, or anything in between, the many restaurants doing a booming trade across the city’s characterful neighborhoods cater to all manner of gastronomic whims. Tex Mex is big business, but most national dishes are represented, as is good old-fashioned Southern cooking. 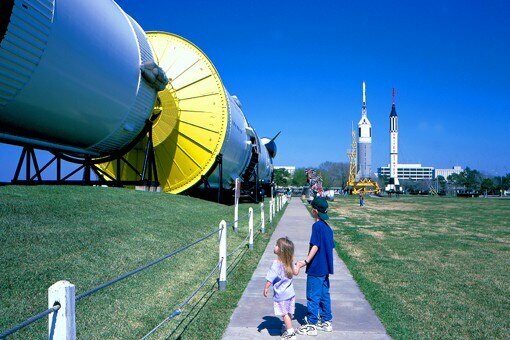 Houston is a city of contrasts where tradition, arts, and culture go hand in hand with future-facing innovation, from the cutting edge architecture that characterizes the Downtown of the city to the home of space exploration’s brightest and best at NASA’s mission control, based at the city’s Space Center. Whether you’re stargazing or strictly earthbound, you’ll find a host of theaters, museums, wide open spaces, and plenty of state-of-the-art shops in Uptown Houston and Galleria. Houston may be a cultured city, but that doesn’t mean it’s stuck in the clouds – just head to the many mega-malls and find out for yourself. The largest in town is the iconic Galleria, but there are plenty of boutique outlets, vintage stores, and other one-off treasure troves to be hunted down. From the trendy hipster-haven of The Heights to food markets and the bargains on Harwin Drive you won’t be short of retail options. Houston is a very modern metropolis – one of the largest in the United States, in fact. But it boasts a decidedly laid-back vibe that feels a world away from the frenzied pace of New York or LA. With some of the country’s biggest museums and most celebrated performing arts venues, it’s a must-visit destination for culture vultures. The restaurant scene will please hip foodies too. This super-sized city is certainly no slouch when it comes to after-hours enjoyment. Forget the Texas clichés of sawdust-covered floors and country music - cosmopolitan Houston boasts a sparkling array of cutting-edge dance clubs, bustling bars, and legendary live entertainment venues. Houston's museums are among the finest in the country, and will stimulate and excite visitors of all ages. There’s also a wild and wonderful zoo and aquarium, and a whole host of beautiful public parks, perfect for whenever you feel like soaking up some glorious Texas sunshine. Houstonites are serious about their food, so there’s a banquet of kid-friendly mealtime options as well. The largest city in Texas positively revels in its reputation as a Southern cultural hotspot. You could easily spend an entire trip touring Houston’s museums, which celebrate everything from fine art to vintage beer cans. Its theater district, meanwhile, is one of the largest in the United States, making this a must-visit city for lovers of performing arts.